Maritime commerce and voyages of discovery required finance and Antwerp had by the 16th century become Europe’s major money market. It was largely through the efforts of Thomas Gresham that a new financial market was established in London that would eventually supersede its Continental rival, laying the foundation for the City to become the world’s foremost commercial centre. Gresham was also responsible for establishing London’s earliest science college, centuries before the foundation of the capital’s universities. 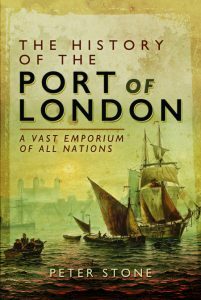 The growth in trade in London, particularly the funding of voyages of exploration in the 16th century, led to an increasing number of merchants and syndicates raising finance within the City. International shipping and trading was a lucrative but risky business and merchants needed to share that risk. Initially they would do business with each other in the streets and Lombard Street, named after Italian financiers from Lombardy who had settled there, was the main centre for this. Other locations used were in and outside of St.Paul’s or within the halls of the Livery Companies. In the 15th century a bourse had been established in Antwerp and the London authorities considered the idea of such a venture in Leadenhall market but nothing came of the plan. Two of London’s leading men of the mid-century were the Gresham brothers, John and Richard. They were hard-working members of the Mercers’ Company who both amassed a fortune and rose to become Mayor of London. John was one of the founders of the Muscovy Company and Richard, who lent money to Henry VIII, was knighted in 1531 and John six years later. Richard proposed a new establishment in Lombard Street where merchants could meet to do business with each other but he died before the plan could be realised. It would be left to Richard’s second son to accomplish the idea. Thomas was born in Milk Lane in around 1518. At seventeen he joined his uncle John’s drapery business, working in both London and the Low Countries. Living between the two, Thomas was able to speak both English and Flemish as well as French and classical languages. He also studied law at Gray’s Inn. While still an apprentice, he came to the attention of Henry VIII’s chief minister, Thomas Cromwell, and began undertaking errands on the Continent for the King. Following his apprenticeship Thomas gained the right to membership of the Mercers’ Company in 1543. Three years later he took control of the family business in the Netherlands, exporting woollen cloth from England and importing fine cloth and armaments. When English cloth became less competitive at the Continental markets in the 1540s he diversified into metals. During the reign of Henry VIII the English Crown was funded in part by borrowing at the Antwerp bourse and during the reign of Edward VI it was managed by the royal agent William Dansall. Interest rates on the bourse were often manipulated by the Habsburg monarchy and when Dansall was forced to pay a higher rate of interest he was displaced by the King’s council with disastrous consequences to the cost of their borrowing. Dansall was therefore replaced by Gresham who then had good fortune when the price of bullion rose dramatically, giving him an opportunity to substantially reduce the Crown’s loans. Gresham’s moment of glory was cut short when the young Edward VI died and succeeded by his sister Mary. Gresham and his fellow Merchant Adventurers were suddenly out of favour due to their association with the Duke of Northumberland who had attempted to put Lady Jane Grey on the throne. He returned to his commercial activities. In 1544 Thomas married Anne Ferneley, the wealthy widow of a mercer, gaining an additional business as well as estates in Suffolk and Norfolk. The couple purchased a house in Cheapside and also had property in Antwerp. As he acquired or inherited further country estates his activities and income adjusted towards his properties and royal duties and away from mercantile commerce. Royal borrowing did not go smoothly during Gresham’s removal and he was soon reappointed, resuming office in November 1553, although his relationship with Queen Mary’s council was not cordial. He quickly repaired damage done during his absence and when interest rates in Antwerp subsequently soared he instead borrowed at lower cost from Spanish lenders. During the following two years he again borrowed favourably in Antwerp but when rates rose in 1556 he was again removed from his post for a year and a half, during which time the lending of Queen Mary’s government reached much higher levels. When Gresham was reinstated as royal agent following Mary’s death the Antwerp exchange was no longer under the influence of the Habsburgs and dealt primarily in commercial investment. In a much more stable environment he was able to borrow more favourably for Queen Elizabeth and greatly reduce the Crown’s loans. Now with the full support the monarch and her chief minister, William Cecil, he became involved in several government services and initiatives. Gresham was knighted in 1559 for his services to the Crown and continued as the royal agent for the first nine years of Elizabeth’s reign.